Chicks can play soccer too! Taken one lunch time at a local park. After calibrating my monitor this is what this should have looked like! This is really, really cute - very nicely captured and a nifty "slice of life" from a feathered perspective! High "cute" factor here. Nice catch. This should have come way higher - a very nice shot. Keep up the good work, these are really comming along nicely. The color and focus are very good, I think the wall or whatever it is behind the bird detracts from the image. That's not a chick! 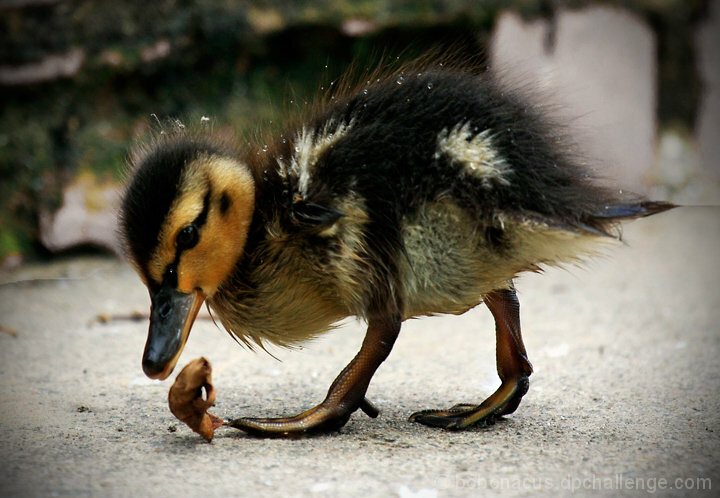 That's a duckling! :) Cute picture! Cute and funny! Lovely shot! Proudly hosted by Sargasso Networks. Current Server Time: 04/26/2019 03:41:28 AM EDT.